Harmony Ball Company is very pleased to announce the creation of the Olszewski Collector Society. creating the magical Story-Time Disney Showcase Collection which brings nine Disney Animation Classics to life. 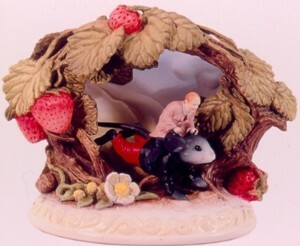 the Seven Dwarfs, Sleeping Beauty, Bambi, and Peter Pan have been reproduced in breathtaking miniature. and we plan on extending the collection throughout 2005.
of signing events and new releases. I am so pleased to welcome you to the inaugural year of the Olszewski Collector Society. opportunity to share not only my sculptures but my thoughts and ideas as well. in advance of their official release.